The stack temperature should be as low as possible. However, it should not be so low that water vapor in the exhaust condenses on the stack walls. can lead to Sulphur dew point corrosion. Stack temperatures greater than 200°C indicates potential for recovery of waste heat. It also indicate the scaling of heat transfer/recovery equipment and hence the urgency of taking an early shut down for water/ flue side cleaning. Typically, the flue gases leaving a modern 3-pass shell boiler are at temperatures of 200 to 300 °C. Thus, there is a potential to recover heat from these gases. The flue gas exit temperature from a boiler is usually maintained at a minimum of 200 °C, so that the sulphur oxides in the flue gas do not condense and cause corrosion in heat transfer surfaces. When a clean fuel such as natural gas, LPG or gas oil is used, the economy of heat recovery must be worked out, as the flue gas temperature may be well below 200 °C. The potential for energy saving depends on the type of boiler installed and the fuel used. For a typically older model shell boiler, with a flue gas exit temperature of 260 °C, an economizer could be used to reduce it to 200 °C, increasing the feed water temperature by 15 °C. Increase in overall thermal efficiency would be in the order of 3%. For a modern 3-pass shell boiler firing natural gas with a flue gas exit temperature of 140 °C a condensing economizer would reduce the exit temperature to 65 °C increasing thermal efficiency by 5%. 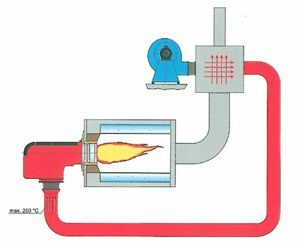 Combustion air preheating is an alternative to feedwater heating. In order to improve thermal efficiency by 1%, the combustion air temperature must be raised by 20 °C. Most gas and oil burners used in a boiler plant are not designed for high air-preheat temperatures. Modern burners can withstand much higher combustion air preheat, so it is possible to consider such units as heat exchangers in the exit flue as an alternative to an economizer, when either space or a high feed water return temperature make it viable. Incomplete combustion can arise from a shortage of air or surplus of fuel or poor distribution of fuel. It is usually obvious from the colour or smoke, and must be corrected immediately. In the case of oil and gas fired systems, CO or smoke (for oil fired systems only) with normal or high excess air indicates burner system problems. A more frequent cause of incomplete combustion is the poor mixing of fuel and air at the burner. Poor oil fires can result from improper viscosity, worn tips, carbonization on tips and deterioration of diffusers or spinner plates. With coal firing, unburned carbon can comprise a big loss. It occurs as grit carry-over or carbon-in-ash and may amount to more than 2% of the heat supplied to the boiler. Non uniform fuel size could be one of the reasons for incomplete combustion. In chain grate stokers, large lumps will not burn out completely, while small pieces and fines may block the air passage, thus causing poor air distribution. In sprinkler stokers, stoker grate condition, fuel distributors, wind box air regulation and over-fire systems can affect carbon loss. Increase in the fines in pulverized coal also increases carbon loss. The Table 4.4 gives the theoretical amount of air required for combustion of various types of fuel. Excess air is required in all practical cases to ensure complete combustion, to allow for the normal variations in combustion and to ensure satisfactory stack conditions for some fuels. The optimum excess air level for maximum boiler efficiency occurs when the sum of the losses due to incomplete combustion and loss due to heat in flue gases is minimum. This level varies with furnace design, type of burner, fuel and process variables. It can be determined by conducting tests with different air fuel ratios. Typical values of excess air supplied for various fuels are given in Table–4.5. Controlling excess air to an optimum level always results in reduction in flue gas losses; for every 1% reduction in excess air there is approximately 0.6% rise in efficiency. The most common method is the continuous oxygen analyzer with a local readout mounted draft gauge, by which the operator can adjust air flow. 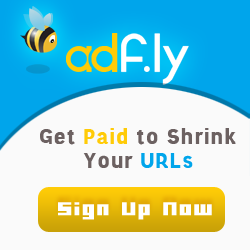 A further reduction of 10–15% can be achieved over the previous system. III. The same continuous oxygen analyzer can have a remote controlled pneumatic damper positioner, by which the readouts are available in a control room. This enables an operator to remotely control a number of firing systems simultaneously. The most sophisticated system is the automatic stack damper control, whose cost is really justified only for large systems. The external surfaces of a shell boiler are hotter than the surroundings. The surfaces thus lose heat to the surroundings depending on the surface area and the difference in temperature between the surface and the surroundings. The heat loss from the boiler shell is normally a fixed energy loss, irrespective of the boiler output. With modern boiler designs, this may represent only 1.5% on the gross calorific value at full rating, but will increase to around 6%, if the boiler operates at only 25 percent output. Repairing or augmenting insulation can reduce heat loss through boiler walls and piping. Uncontrolled continuous blowdown is very wasteful. Automatic blowdown controls can be installed that sense and respond to boiler water conductivity and pH. A 10% blow down in a 15 kg/cm2 boiler results in 3% efficiency loss. In oil and coal-fired boilers, soot buildup on tubes acts as an insulator against heat transfer. Any such deposits should be removed on a regular basis. Elevated stack temperatures may indicate excessive soot buildup. Also same result will occur due to scaling on the water side. High exit gas temperatures at normal excess air indicate poor heat transfer performance. This condition can result from a gradual build-up of gas-side or waterside deposits. Waterside deposits require a review of water treatment procedures and tube cleaning to remove deposits. An estimated 1% efficiency loss occurs with every 22 °C increase in stack temperature. Stack temperature should be checked and recorded regularly as an indicator of soot deposits. When the flue gas temperature rises about 20 °C above the temperature for a newly cleaned boiler, it is time to remove the soot deposits. It is, therefore, recommended to install a dial type thermometer at the base of the stack to monitor the exhaust flue gas temperature. It is estimated that 3 mm of soot can cause an increase in fuel consumption by 2.5% due to increased flue gas temperatures. 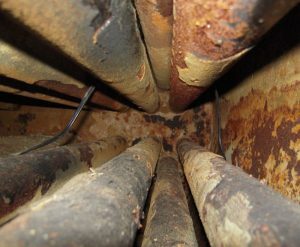 Periodic off-line cleaning of radiant furnace surfaces, boiler tube banks, economizers and air heaters may be necessary to remove stubborn deposits. This is an effective means of reducing fuel consumption, if permissible, by as much as 1 to 2%. 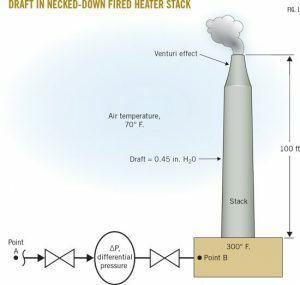 Lower steam pressure gives a lower saturated steam temperature and without stack heat recovery, a similar reduction in the temperature of the flue gas temperature results. Steam is generated at pressures normally dictated by the highest pressure / temperature requirements for a particular process. In some cases, the process does not operate all the time, and there are periods when the boiler pressure could be reduced. The energy manager should consider pressure reduction carefully, before recommending it. Adverse effects, such as an increase in water carryover from the boiler owing to pressure reduction, may negate any potential saving. Pressure should be reduced in stages, and no more than a 20 percent reduction should be considered. Variable speed control is an important means of achieving energy savings. 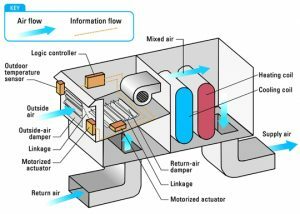 Generally, combustion air control is affected by throttling dampers fitted at forced and induced draft fans. Though dampers are simple means of control, they lack accuracy, giving poor control characteristics at the top and bottom of the operating range. In general, if the load characteristic of the boiler is variable, the possibility of replacing the dampers by a VSD should be evaluated. In general, efficiency of the boiler reduces significantly below 25% of the rated load and as far as possible; operation of boilers below this level should be avoided. Since, the optimum efficiency of boilers occurs at 65–85% of full load, it is usually more efficient, on the whole, to operate a fewer number of boilers at higher loads, than to operate a large number at low loads. The feasibility study should examine all implications of long-term fuel availability and company growth plans. 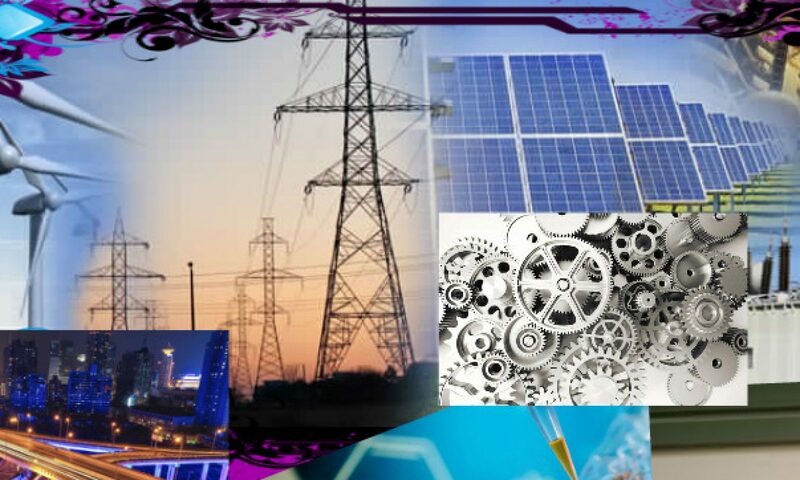 All financial and engineering factors should be considered. Since boiler plants traditionally have a useful life of well over 25 years, replacement must be carefully studied.